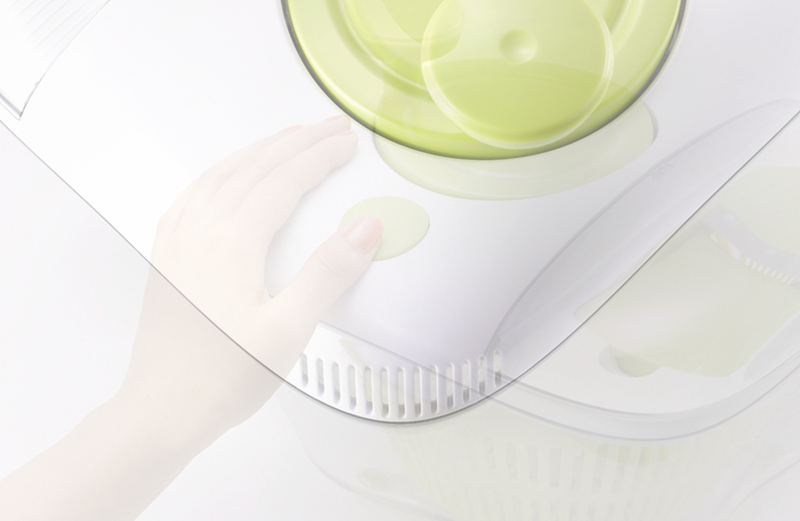 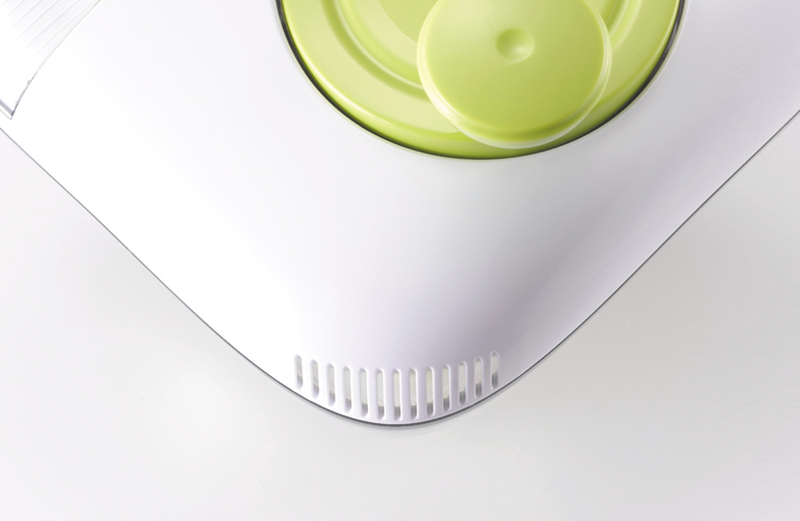 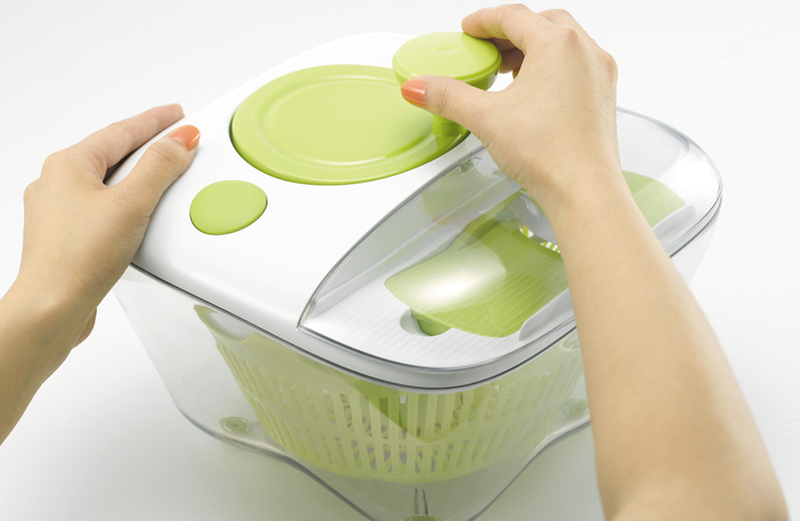 All In One Salad Spinner features a modern and compact design. 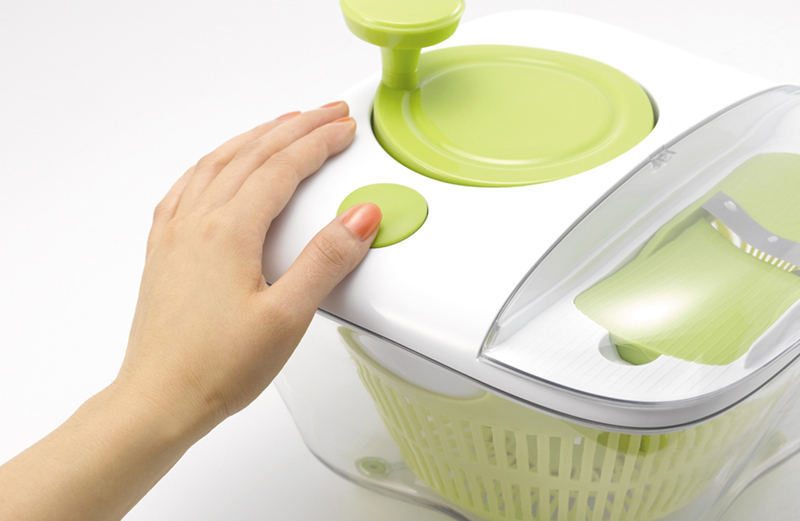 You can wash, cut and serve by using a single item. 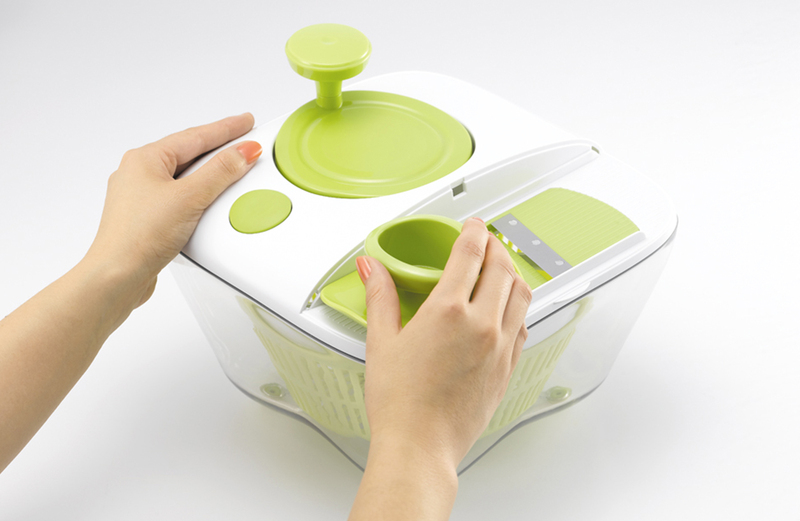 Is equipped with 5 interchangeable blades.